In this new and extensively updated second edition, the Association for the Study of Medical Education presents a complete and authoritative guide to medical education. Written by leading experts in the field, Understanding Medical Education provides a comprehensive resource of the theoretical and academic bases to modern medical education practice. 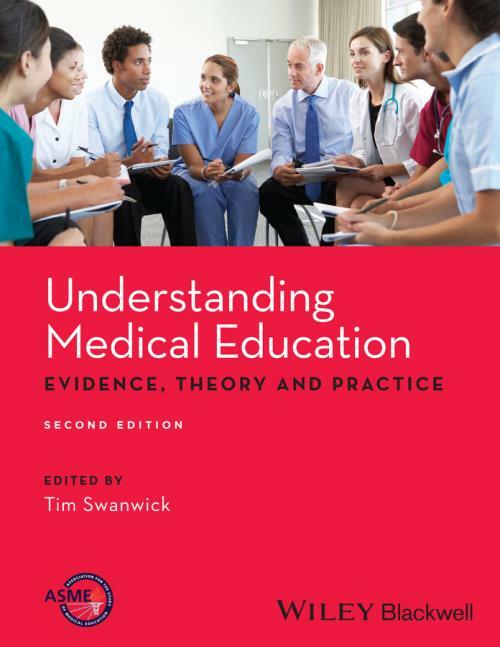 This authoritative and accessible reference is designed to meet the needs of all those working in medical education from undergraduate education through postgraduate training to continuing professional development. As well as providing practical guidance for clinicians, teachers and researchers, Understanding Medical Education will prove an invaluable resource to those studying at certificate, diploma or masters level and a first port–of–call for anyone engaged in medical education as an academic discipline. Exploring medical education in all its diversity and containing all you need in one place, Understanding Medical Education is the ideal reference not only for medical educators, but for anyone involved in the development of healthcare professionals, in whatever discipline wherever they are in the world.